Travelling with kids is a terrible experience. An easy-peasy 5-hour journey can transform into an all-day nightmare when you add in pee breaks and whining about, “I can’t feel my legs. I think they are dying.” And that’s when you’re on the road with the ability to stop and take a breather. What about long-haul flights? Travelling with kids can be a mess but flying in a tin can, breathing in recycled air and sharing an armrest with a total stranger is enough to make even well-adjusted adults go crazy? Kids are another matter altogether. Over the years of travel and the thousands of air miles my kids have flown, I have realised one truth. If there is a way to make your flight more comfortable for you and your kids, grab the opportunity with both hands and don’t let go. I plan cabin baggage well in advance and careful consideration is given to the needs of both my kids. Now that my oldest is well, old enough to carry her own cabin baggage she can pick up some of the slack. 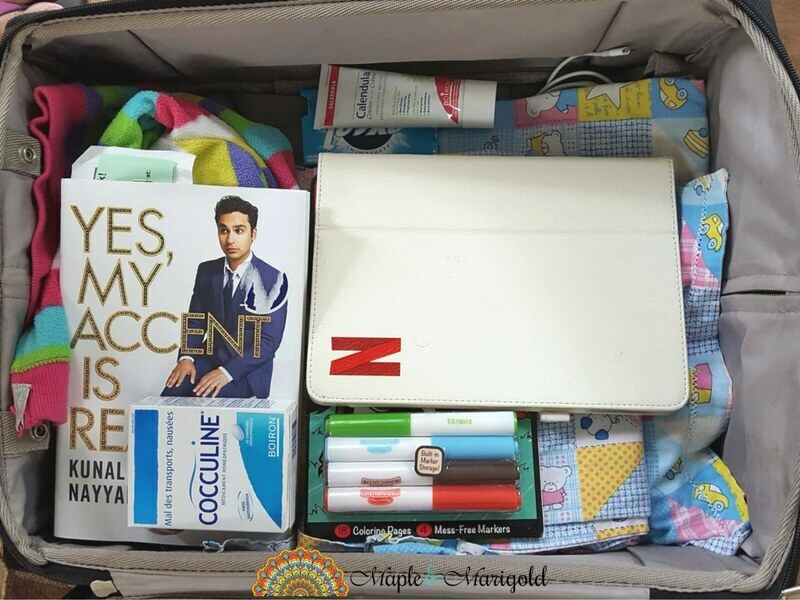 Here are a few tried and tested travel essentials for kids that I carry with me every time we fly. Dry skin in the air can make anyone uncomfortable. Moisturize from top to bottom before you leave for the airport. For the plane ride carry a small bottle of lotion and add some glycerin to the mix. Shake before you use it. Glycerin is a great moisturizer but it needs something to make it less sticky. I add lotion to mellow it down. If you’re catching a flight, the mixture should be in bottles of less than 100 ml bottles. Check flight safety regulations for your destination, some airlines may have a regulation of <60 ml. Sometimes it isn’t just dry skin. Between the recycled air, the dryness and the synthetic upholstery we often complain about unidentifiable rashes. My youngest has eczema and my older one doesn’t, and both end up with patches of inflamed skin. 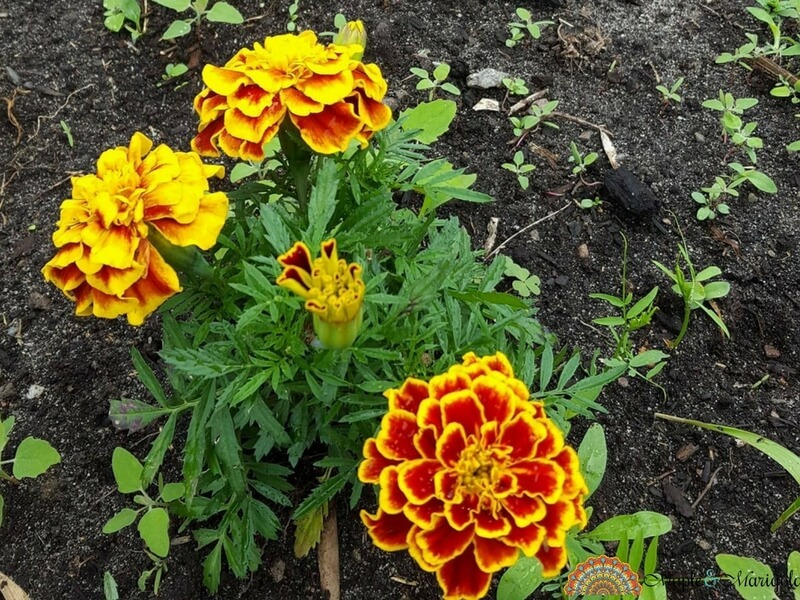 Boiron’s Calendula cream, a homoeopathic remedy made with the extract of the garden marigold helps heal inflamed skin. It soothes and moisturizes at the same time and is safe for adults and children to use. Airplane travel often makes people nauseous. My oldest gets carsick and plane sick, and so I carry crackers and dry cereal. These simple snacks fill in the gap between the in-flight meal service. 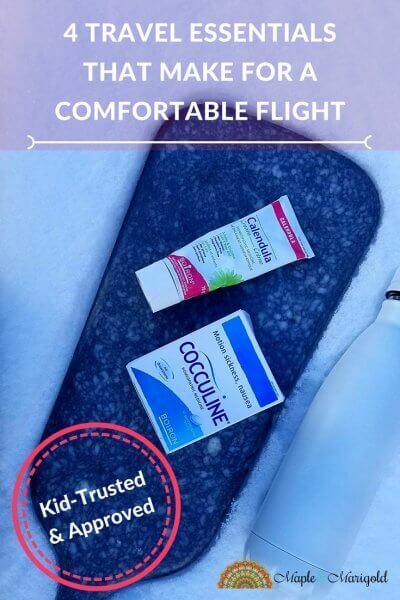 I also carry Boiron’s Cocculine tablets. They relieve symptoms of motion sickness, such as nausea, vomiting, dizziness and cold sweats. Thankfully this remedy comes in quick-dissolving tablets that are convenient to take while on the move especially since no water is needed to swallow them. I usually start the kids with 2 tablets the night before we start the journey, and then continue as needed. Bring Your Own Water. It sounds simple, I know but we often forget especially when planning a long plane trip. I carry an empty bottle of water with me and fill it up once we are past airport security. The plane air is recycled and dry, and having your own stash of water so you don’t have to ring the bell for the flight attendant, again and again, well, that’s just plain common sense. Disclaimer: I have been compensated by Boiron Canada for sharing with you my honest opinion of their homoeopathy remedies. When it comes to travelling comfortably, my travel neck pillow happens to be one companion that secures my comfort. There are other things I travel along with to keep me comfortable but this remains the most important one for me because sleep is like a tradition for me on any long haul flight. I am glad for neck pillows as well. Thanks for visiting.